Although you may have the best of intentions, you may not be saving enough for retirement. Underemployment, family responsibilities, medical issues, or an unexpected crisis can throw you off your financial planning track. 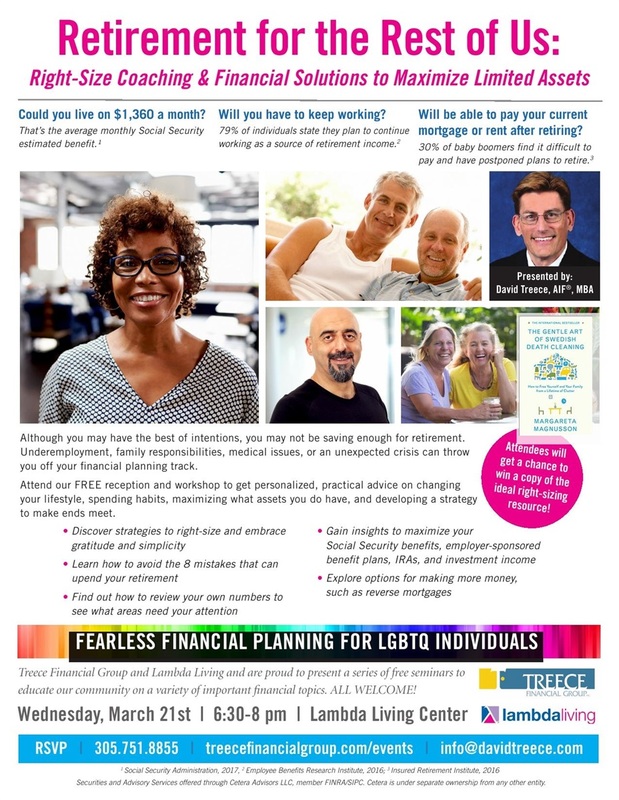 Get personalized, practical advice on changing your lifestyle, spending habits, maximizing what assets you do have, and developing a strategy to make ends meet. Attendees will get a chance to win a copy of the ideal right-sizing resource "The Gentle Art of Swedish Death Cleaning: How to Free Yourself and Your Family from a Lifetime of Clutter"